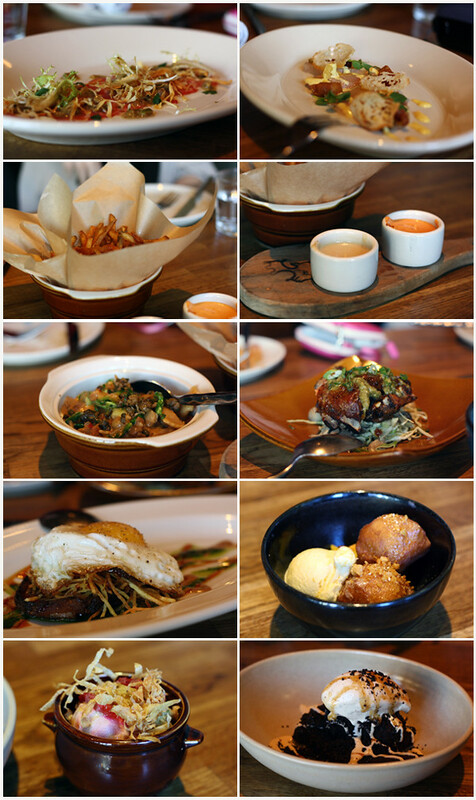 As promised, here are all the dishes my friends and I ordered at Girl and the Goat. Such a delicious meal. We were feeling particularly indulgent and ordered three desserts! I loved they decor and our server was awesome. My friend Sandra brought her Polaroid camera and he was so excited to take a photo of us with it. If I had to choose favorites, I think it would be the grilled pork ribs and the chocolate cake dessert. The dessert totally reminded me of a grown up version of dirt cups! And the ribs just fell off the bone and was a wonderful combination of flavors and textures.